Your teeth serve you in so many beneficial ways. They provide your beautiful, white smile landscape. They help you talk and form your words. They assist in digestion by chewing and biting your food. However, we often forget to be grateful for our teeth, until we have a pain in one. When you experience a pain in your tooth, there’s often nothing else you can concentrate on. That pain nags, hurts, and demands your attention and can’t be ignored. 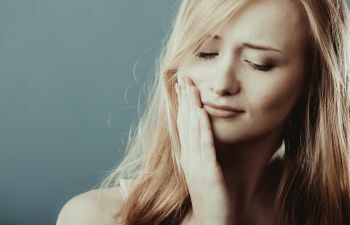 There are different levels of tooth pain, and most of them are an indication that you may have a more serious dental health issue, so it should not be ignored. Minor tooth pain should not be ignored. Minor tooth pain can range from tooth sensitivity, to quick sharp pains, to constant minor pain. In any of these cases, you need to call Gwinnett Family Dental Care so we can investigate the source of your pain and execute the appropriate treatment for your relief and a healthy mouth. In the meantime, there are some steps you can take to alleviate some of the pain until your appointment in our office. Swishing warm saltwater can help; you can read more about it here. You may choose to take an ibuprofen, acetaminophen or aspirin to reduce your pain. Castor Oil has dental benefits when applied to a painful area of your tooth or cheek. A warm washcloth or pad can also help relieve some of your pain. Major tooth pain should not be ignored either. Major dental pain can signal that you have a dental emergency. If you have dental trauma, pain or injury there is help for you in Lawrenceville and the surrounding areas. Gwinnett Family Dental Care offers emergency exams if your dental issue needs immediate attention. Whether your tooth pain is major or minor, call Gwinnett Family Dental Care so one of our caring dentists can help get you back to having a pain-free smile!